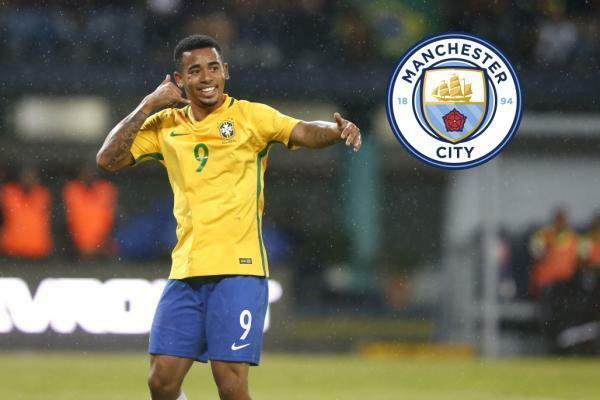 Gabriel Jesus has lofty ambitions following his move to Manchester City and is desperate for silverware with his new club. The Brazil international agreed a move to City back in August 2016, but remained at Palmeiras until the end of the Brazilian season before formalising his switch to the Etihad on Thursday. He joins a side reeling from Sunday's 4-0 loss at Everton, which manager Pep Guardiola suggested had ended their title hopes, but Jesus remains upbeat. "I want to win titles and Manchester City are a club that are used to winning," Jesus told the club's official website. "City are a club that always compete for the title in the competitions it enters, so that was an important factor. "My dream in a City shirt is to win titles, to be happy and to make all of Manchester City's fans happy too. "And because of the manager, Pep Guardiola, and the squad." The 19-year-old turned down a number of clubs in favour of a switch to City and director of football Txiki Begiristain was delighted with the attacker's decision. "Gabriel is a technically gifted player who was chased by some of Europe's biggest clubs and we are delighted he decided to join City," he said. "I think with Guardiola as manager and the squad we already have here, Jesus has the perfect platform to reach his full potential."